SS Friday June 8th, Open House Sat June 9th, and Sun June 10th, 2 to 4pm. Offers Monday June 11th. 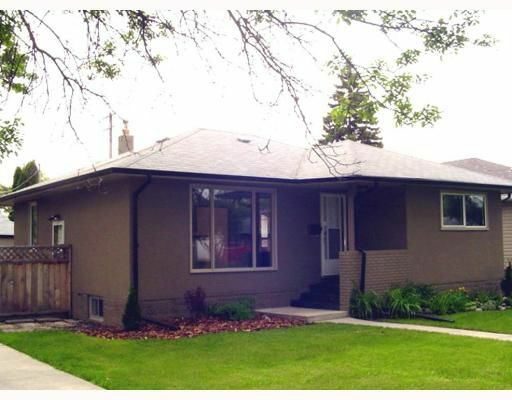 Fabulous 1060 sqft bungalow in River Heights. Completely remodeled and staged by Cutting Edge Design. Open concept design. Gorgeous new kitchen with ceiling high cabinetry, colored slate tile backsplash, slate tile floors and slate arborite counter tops in kitchen and on the bar overlooking the living room. Modern decor with beautiful neutral paint colors. Designer light fixtures thruout, refinished hardwood floors thruout main floor. Designer sink and vanity, jetted Jacuzzi tub and spacious linen closet in Main floor bathroom. Fully finished lower level with wall-to-wall berber carpet, laundry area, 3 piece bath with shower stall and 3rd bedroom.